In the first half of 2014, the struggles of diverse categories of workers were taken to the streets to the dismay of bosses and governors. The powerful’s counterattack was supported with the help of the mainstream media, which tried to criminalise the protests and demobilise the strugglers. This happened before, during and after the World Cup – a time in which the news sought to legitimise the violent actions of the repressive apparatus of the state and its leaders. Following this came the political persecutions and arrests of dozens of protestors in an authoritarian manner, violating democratic means and human rights. But it is undeniable that these workers’ struggles took on large proportions, and you can identify in them a common practice that has been quite rare in contemporary Brazilian unionism. They were strikes built in the workplace, independently of the union leaderships – sometimes even having to confront them. They won victories, total or partial, that the old union leaders, many of them playing the game of governments and bosses, said were impossible to win. These movements inspired many others, in smaller proportions and not always with the same level of advancement, that were hugely significant in the attempt to reinvigorate the way of waging union struggles in Brazil. This practice can be identified, principally, in the protagonism and direct action of the rank-and-file, deciding on the course of the strikes in opposition to the bureaucracy and centralisation of personalised union leadership and partisan union currents. The latter, on the other hand, are flawed union practices which in general do not realise the urgencies of the working class, nor do they build spaces with political autonomy and the direct participation of workers. 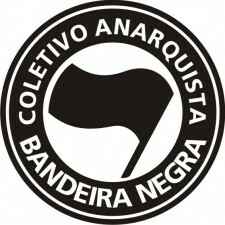 Thus, experiences of autonomy, struggle and class solidarity emerged around the country, be they in the example of protesting workers in the big infrastructure works of the PAC (mainly in the north and northeast of the country), the street sweepers in Rio de Janeiro, the bus drivers in Porto Alegre, or the subway workers in Sao Paulo. They demonstrated, in practice, that the struggle begins from below and, not infrequently, without the guardianship of – or even against – the union leaderships in a clear demonstration that who should have control of the struggles is the rank-and-file as a whole and not a group of “enlightened” leaders. Direct Action: the methods of struggle to advance demands had a very diverse repertoire after the strikes. Examples of these are pickets, occupations, sabotage and demonstrations that paralysed the circulation and operation of essential services. Direct Action is the use of all necessary means to strengthen struggles spearheaded by workers. It means not handing over to someone else the power to decide on matters of everyday life. Instead, the collective is to exercise this power directly, without intermediaries or representatives. Rank-and-File Protagonism: there is a disposition in the rank-and-file of workers to advance the union struggle and often of fighting the bureaucratic stance of the unions’ leadership themselves. This is how the example of union struggles in this period was driven by the rank-and-file of the sectors. This is the ingredient of a strong unionism, with workers’ control through direct democracy. Combatting the authoritarian and anti-democratic culture present in the unions, including in many of those led by groupings that put themselves on the left in political composition. To the extent to which workers organise themselves and advance, the reaction of the state and governors has been to criminalise strikes and protest, repressing legitimate struggles and propagating lies through the bourgeois media; the great ally of the bosses and the powerful. Here we denounce the complicity between this hegemonic capitalist media, the governors and the strong economic groups that control the country. We are excited to see the revival of this combativeness in union struggles around the country, since being the protagonists of our struggles is fundamental. Unions are important instruments that can empower the workers’ struggle. However, when they are captured by a partisan bureaucracy, or contained by the employer, they cease to be a means of struggle and turn into a way of life for the opportunists; people who claim to be representatives of the workers but who fortify themselves in the union structure. They subordinate the workers’ urgencies to their interests, or to those of their party, distancing themselves from the workers’ reality. It is in the accumulation of our forces and through our mobilising power that we can confront even the unjust judicial decisions in the service of governors and bosses. It is also through our collective strength that we can achieve the victories we desire. That we do not lose our desires for change! That every fight, every picket, every strike, with their victories and defeats, may strengthen the idea that a new world is possible. Within this process of radicalisation of struggles, it is necessary to have as an objective the revival of Revolutionary Syndicalism. A conception of union struggle defended by Mikhail Bakunin – besides having been named as a “potential suspect” for stimulating struggles and being involved in them in Rio de Janeiro  – the 200th anniversary of whose birth we commemorate in 2014. In 2014, we remember the 200th anniversary of the birth of the Russian revolutionary and anarchist Mikhail Bakunin. Exemplary militant, his life was confounded with the struggles of the workers of his time, principally within the International Workingmen’s Association (IWA). Together with other comrades he was also responsible for the establishment of anarchism as a force socially engaged in the struggle for freedom and equality. In 1868, Bakunin helped found the Alliance of Socialist Democracy, a clandestine organisation and the first specifically anarchist organisation in history, which acted within the IWA. The IWA being the space that brought together and boosted workers’ struggles in this time, it is important to point out that it was the accumulation of the International’s anti-authoritarian currents that had the greatest influence on the labour movement of our Latin American continent. After the Hague Congress of the First International, statist and federalist conceptions split up amid strong polemics and followed different paths. And it is the libertarian current of socialism (federalist and anarchist) that would boost the continuity of the IWA, and it is in 1872, in Saint-Imier in Switzerland, that Bakunin and the federalists founded the International, later known as anti-authoritarian. The sections and federations linked to the International that were formed throughout Latin America relied on quite accurate general guidelines and on autonomy for their development, giving continuity to the federalist proposals and Bakunin’s revolutionary syndicalism. He understood syndicalism as a means and not an end in itself, and that the role of anarchists should be to add fuel to the processes of class mobilisation and to organise struggles together with the workers. Propagating the cause wherever they met workers. It was in fact in action, and from the tactics consecrated by experience, that the outlines of a more radical union doctrine were taking shape, becoming the historical expression of the time. The idea of the general strike was launched by the International Congress held in Brussels in September 1868. At the time, it was a tool with the objective of struggling against the war at the time. But it was in 1869 that Bakunin, in a pioneering way, analysed all the possible consequences of the General Strike. Bakunin thus makes important contributions to this conception of the strike as a tool for mobilising the workers’ force, and that “they already indicate a certain collective force, a certain understanding among workers”. As a practice of assertive struggle and of formation in struggle, the General Strike should also embody the solidarity between sectors of the oppressed class because, “the needs of the struggle lead workers to support each other, from one country to another, from one profession to another”. 1) Mikhail Bakunin, an anarchist born in Russia 200 years ago this year, was being investigated by Brazilian police for allegedly participating in anti-World Cup protests in Rio de Janeiro, in 2014, after a teacher who was suffering state repression at the time mentioned him in a phone call. Todos os anos nos deparamos com as tais festas do Primeiro de Maio, promovidas pelas grandes centrais sindicais e que enchem praças e avenidas com milhares de pessoas. Com o objetivo de atrair o público, em meio aos shows de artistas famosos, sorteiam até carros e apartamentos. Esquecemos, no entanto, das origens dessa data tão importante, que marca a luta dos trabalhadores e das trabalhadoras contra as mazelas do capitalismo e suas brutais consequências sobre homens e mulheres. Como sempre, a história é contada pelos vencedores, e assim também aconteceu com a história do Primeiro de Maio, que até hoje não é muito conhecida. 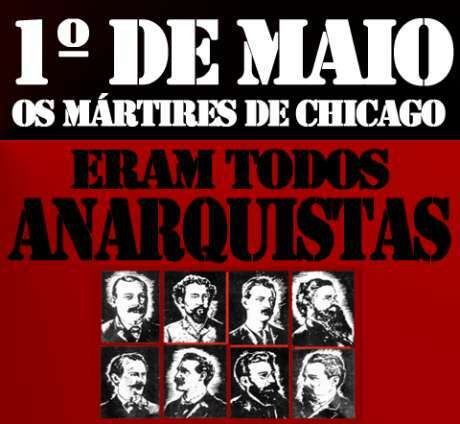 A mobilização dos operários e operárias de Chicago e de outros lugares do mundo aos fins do século XIX, reivindicando a jornada diária de oito horas de trabalho, refletia uma luta contra o sistema capitalista e as péssimas condições a que estavam submetidos trabalhadores e trabalhadoras. 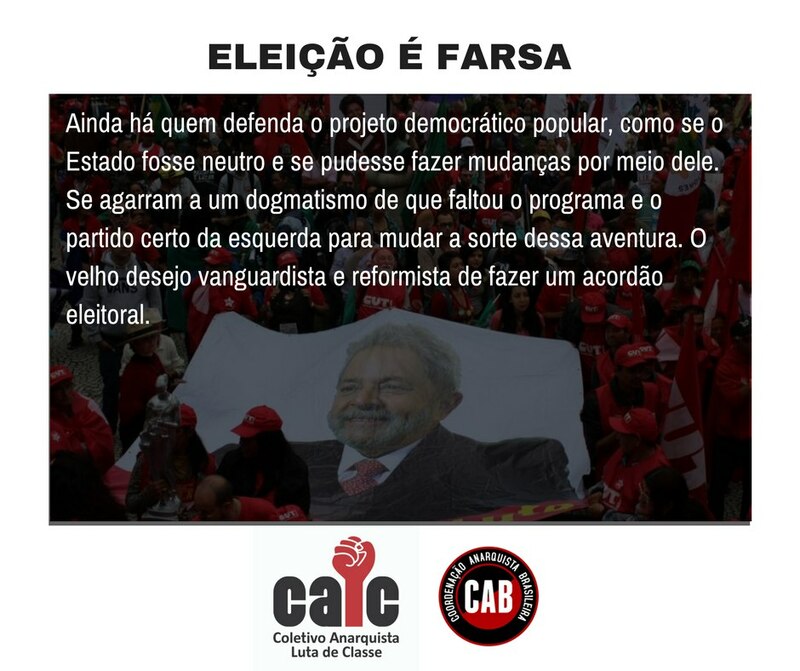 A relevância atual desse tema é que os motivos que levaram a essa mobilização não mudaram tanto de lá para cá. Continuamos a viver em uma sociedade capitalista, apoiada na exploração do trabalho, nos baixos salários, nas precárias condições de trabalho, no desemprego. Continuamos a viver em uma sociedade em que impera a pobreza e a fome de muitos, para o benefício e a prosperidade de poucos. Não temos o controle sobre o trabalho que realizamos e nem sobre as decisões que nos afetam. Parte dos frutos de nosso trabalho continuam indo para as mãos das classes dominantes. Quando nos mobilizamos para reivindicar uma vida melhor, o Estado está sempre lá, para nos reprimir e mostrar o devido lugar das classes oprimidas no capitalismo. Essas são apenas algumas semelhanças dos fins do século XIX e dos dias de hoje. Aos finais do século XIX, os Estados Unidos continuavam sua crescente onda de crescimento econômico, em grande medida impulsionados pelos efeitos da Guerra de Secessão. A possibilidade de empregos nas fábricas atraía estrangeiros e nativos. No entanto, as condições de trabalho eram precárias ao extremo. Em nome do lucro, os líderes capitalistas faziam com que homens e mulheres trabalhassem 12, 14 e até 17 horas por dia, em ambientes sem qualquer condição para o trabalho: muitos não tinham ventilação e iluminação adequada, eram extremamente sujos etc. Nem as crianças e mulheres grávidas eram poupadas. O desenvolvimento da crescente industrialização, das precárias condições de trabalho e das organizações operárias, criava um ambiente propício para a mobilização, com o objetivo de melhorar as condições de vida. Especificamente nos Estados Unidos, o anarquismo, força protagonista deste movimento, vinha crescendo desde o Congresso de Pittsburgh, em 1883, e com a fundação da International Working People’s Association (IWPA), expressão de massas anarquista que, em 1886, chegou a ter 2500 militantes e 10 mil colaboradores. Entre seus fundadores, podemos destacar Lucy Parsons – mulher, negra e ex-escrava –, que teve um papel decisivo na organização operária de Chicago, incorporando a pauta das mulheres e das negras e negros. Vale lembrar que a IWPA, entendendo as condições especificas de mulheres e negras/os na sociedade, defendeu a pauta das opressões, denunciando a forma como o mundo do trabalho se utiliza dessas condições para promover uma maior precarização e exploração do trabalho, lucrando ainda mais. Em um de seus inúmeros discursos ela atentava para que nossa crítica, enquanto trabalhadores, pudesse ir além da figura dos patrões, que refletíssemos também sobre o mundo do trabalho: “Então você não pode ver que entre a imagem do ‘bom chefe’ e a do ‘mau patrão’ tanto faz? E, que, você é a presa comum de ambos, e que a função dele é simplesmente explorar? Você não pode ver que é o sistema industrial e não o ‘chefe’ que deve ser mudado?”. Outros marcos significativos foram o jornal diário Chicagoer Arbeiter Zeitung e a fundação, em 1884, da Central Labor Union (CLU), que chegou a 28 mil trabalhadores, somente em Chicago, em 1886. No dia 1º de maio de 1886, as ruas de Chicago foram tomadas pelo povo, em protestos e greves cujo objetivo central estava na redução da jornada de trabalho. Chicago, na época, era o principal centro de agitação política dos EUA e os anarquistas exerciam a maior influência no movimento. De acordo com o relato de um jornal da época, “não saía qualquer fumaça das altas chaminés das fábricas e dos engenhos, e as coisas assumiam uma aparência de sabá (o sábado judeu)”. Entre 80 e 90 mil pessoas saíram às ruas em apoio ao crescente movimento somente na cidade de Chicago. Grandes manifestações com mais de 10 mil pessoas também aconteceram em Nova York e Detroit. Aconteceram reuniões e comícios em Louisville, Kentucky, Baltimore e Maryland. Estima-se que por volta de meio milhão de pessoas tenha tomado parte nas manifestações do Primeiro de Maio nos EUA. Estima-se também que por volta de 1200 fábricas entraram em greve em todo o país em apoio ao movimento. 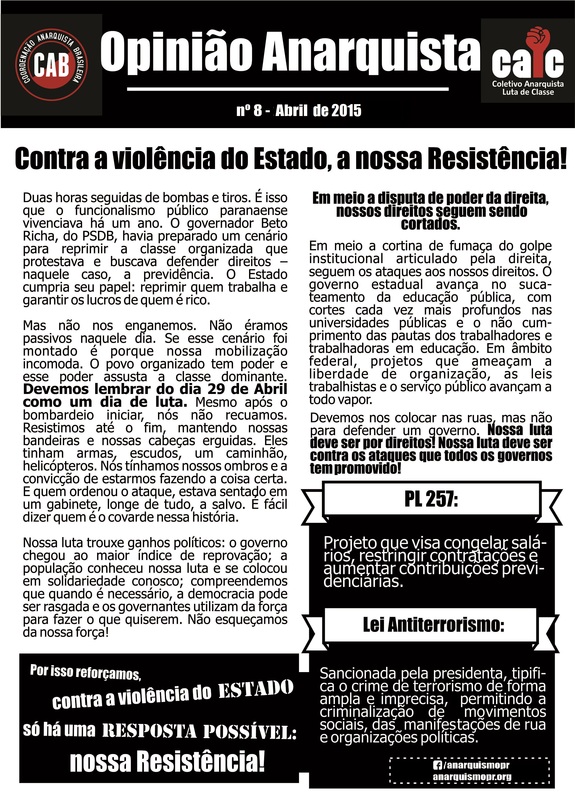 A posição dos líderes capitalistas era claramente refletida na imprensa da época que chamava os manifestantes de “cafajestes, preguiçosos, e canalhas que buscavam criar desordens”. Outro veículo da imprensa afirmava que “Esses brutos [os/as operários/as] só compreendem a força, uma força que possam recordar durante várias gerações”. Os capitalistas compravam armas de fogo para a polícia local. Esses são apenas alguns exemplos da “rede de apoio” que se formou entre patrões e a mídia, todos em defesa do Capital e da ordem estabelecida. No dia 03 de maio as manifestações e greves continuavam. August Spies, um tipógrafo anarquista e editor do periódico Arbeiter-Zeitung, discursou para 6 mil trabalhadores e trabalhadoras. Ainda enquanto ele falava, os fura-greves da fábrica Mc Cormick Harvester estavam saindo, e parte dos manifestantes deslocou-se para a frente da fábrica, com o objetivo de incomodar os fura-greves. Isso aconteceu pois o local em que falava Spies ficava a um quarteirão da fábrica. Os manifestantes desceram a rua e fizeram com que os fura-greves voltassem para dentro da fábrica. Foi então que chegou a polícia. Eram aproximadamente 200 policiais que, ao reprimir os manifestantes, acabaram matando seis pessoas (outras fontes dizem quatro ou sete), ferindo e prendendo muitas outras. Spies, vendo o resultado brutal da repressão policial, dirigiu-se ao escritório do Arbeiter-Zeitung e fez uma circular, convocando os trabalhadores e as trabalhadoras para outra manifestação no início da noite do dia seguinte. O protesto do dia 04 de maio aconteceu na Praça Haymarket, e nele discursaram, além de Spies, Albert Parsons, tipógrafo, militante anarquista e companheiro de Lucy Parsons, e Samuel Fielden, imigrante inglês, operário da indústria têxtil e também militante anarquista. Os discursos pediam unidade e continuidade no movimento. Havia aproximadamente 2500 pessoas no local, que até o momento faziam um protesto pacífico, tão pacífico que o prefeito Carter Harrison, presente no início dos discursos, afirmou que “nada do que acontecia dava a impressão de haver necessidade de intervenção da polícia”. Já no final da noite o mau tempo contribuía para que houvesse apenas cerca de 200 pessoas na praça. Com a ordem de dispersar a manifestação imediatamente, um grupo de 180 policiais chegou ao local. 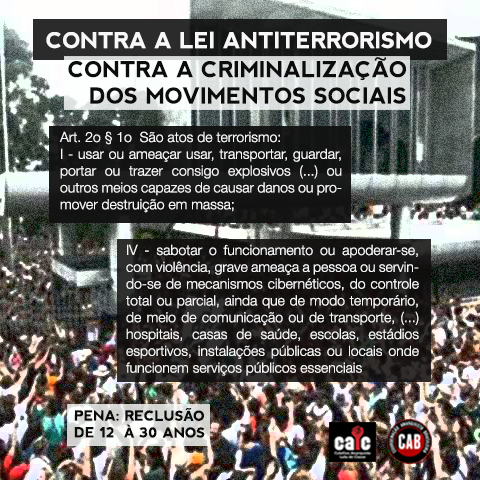 Apesar de Spies ter dito que os manifestantes eram pacíficos, a polícia iniciou o processo de dispersar o ato. Foi nesse momento que uma bomba explodiu em meio aos policiais, matando sete e ferindo aproximadamente 70, entre policiais e manifestantes. A polícia imediatamente abriu fogo contra a população, sendo responsável por incontáveis mortes. Alguns relatos falam em 100 mortos e dezenas de presos e feridos. Ninguém nunca soube se quem jogou a bomba foram os manifestantes ou a própria polícia, para incriminar o movimento. O fato é que o acontecimento da bomba foi utilizado como motivo para a perseguição de todo o movimento radical de trabalhadores. A polícia invadiu casas e escritórios de suspeitos e houve muitas prisões. 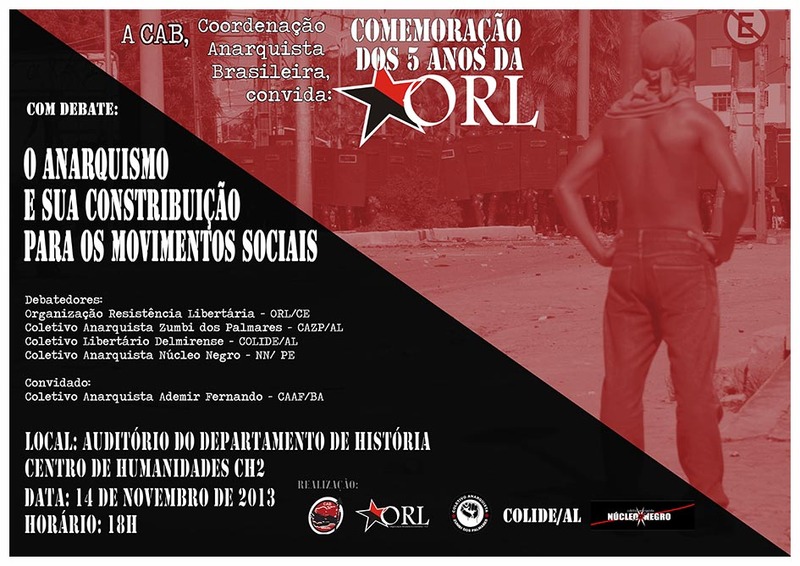 Muitas pessoas que nem sabiam o que era anarquismo ou socialismo foram presas e torturadas. Definitivamente, a polícia primeiro atacava e prendia, para depois averiguar se havia alguma “culpa” dos acusados. O resultado desse processo foi a prisão temporária de Rudolph Schnaubelt, acusado de jogar a bomba. Ele foi solto depois de algum tempo sem acusações formais e há quem diga que ele era um agente pago pelas autoridades para cometer o atentado. Com Schnaubelt solto, a polícia prendeu Fielden e seis imigrantes anarquistas alemães: Spies, Neebe, Adolph Fischer, tipógrafo, Louis Lingg, carpinteiro, George Engel, tipógrafo e Michael Schwab, encadernador. A polícia também procurava Albert Parsons, já que ele era um importante líder da IWPA em Chicago, mas ele conseguiu se esconder e não ser capturado. Parsons acabou depois se apresentando no dia do julgamento. Apesar de apenas três deles terem estado presentes no dia da explosão da bomba, foram todos incriminados e responsabilizados por esse motivo. O julgamento teve início em 21 de junho de 1886 com um júri nitidamente manipulado. Ele era composto de empresários, seus funcionários e um parente de um dos policiais mortos. 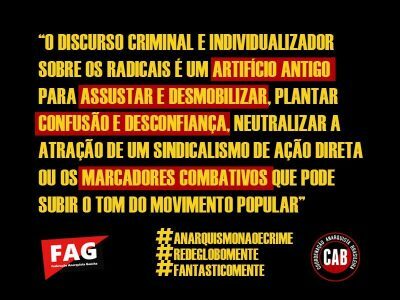 Não houve provas apresentadas contra os anarquistas e nada que levasse a uma conexão clara dos acusados com a explosão da bomba. Não houve, também, quaisquer provas de que eles teriam incitado a violência ou algo do tipo em seus discursos. No entanto, o resultado do julgamento foi um claro reflexo do medo por parte da sociedade burguesa em relação aos operários organizados e combativos. Numa deliberada tentativa de conter o crescente movimento operário, sete dos acusados foram condenados à morte em 19 de agosto. Neebe foi condenado a 15 anos de prisão. Apesar de insistir não ser culpado, Neebe, em uma demonstração de solidariedade aos seus companheiros, falou ao juiz que sentia não ser enforcado com os outros. A punição aos anarquistas deveria servir como um exemplo à sociedade, mostrando o que aconteceria àqueles que desafiassem o poder das instituições do Estado e do Capital. Schwab e Fielden tiveram suas penas comutadas para prisão perpétua, depois de uma grande campanha pela liberdade dos acusados. Lingg suicidou-se na prisão um dia antes de ser enforcado. Em 11 de novembro de 1887 Spies, Parsons, Fischer e Engel foram enforcados, e assim ficaram conhecidos como os Mártires de Chicago. Milhares de pessoas tomaram parte na procissão dos funerais e a campanha pela liberdade de Fielden, Schwab e Neebe continuou. Em 26 de junho de 1893 o governador Altgeld libertou-os, alegando que eram inocentes do crime pelo qual estavam sendo acusados. Em 1890 as manifestações de Primeiro de Maio se generalizaram nos EUA e Europa, assim como no Chile, Peru e Cuba. O movimento pela jornada diária de oito horas de trabalho ganhou tanto apoio, que acabou fazendo com que o Primeiro de Maio fosse uma data mundial de mobilização. Depois disso, generalizaram-se as manifestações no Brasil, na Rússia e Irlanda, e tomaram o mundo de maneira crescente. No Brasil, o Primeiro de Maio é comemorado desde 1894 e tornou-se um feriado nacional por um decreto do ex-presidente Arthur Bernardes em 1925. A jornada diária de oito horas de trabalho foi incorporada na legislação brasileira por Getúlio Vargas na década de 1930. Ainda em seu governo, regulamentou o direito às férias e à aposentadoria, promulgando a Consolidação das Leis do Trabalho (CLT). Essa atitude de Getúlio, muito mais do que benevolência, refletia aceitação, por parte do governo, às reivindicações que eram feitas pelo movimento operário desde os anos 1910. Além disso, muitas indústrias já davam esses benefícios a essa altura dos acontecimentos. Com a Constituição de 1988, incorporou-se às leis brasileiras as férias remuneradas, o 13º salário, a multa de 40% sobre o fundo de garantia em caso de demissão, licença maternidade, entre outros “benefícios” conhecidos hoje por nós. Atualmente, com a adoção das políticas neoliberais por parte dos nossos últimos governos, e com as novas propostas de “flexibilização” das relações de trabalho, estamos perdendo os direitos que conquistamos depois de longas jornadas de mobilização e reivindicação. 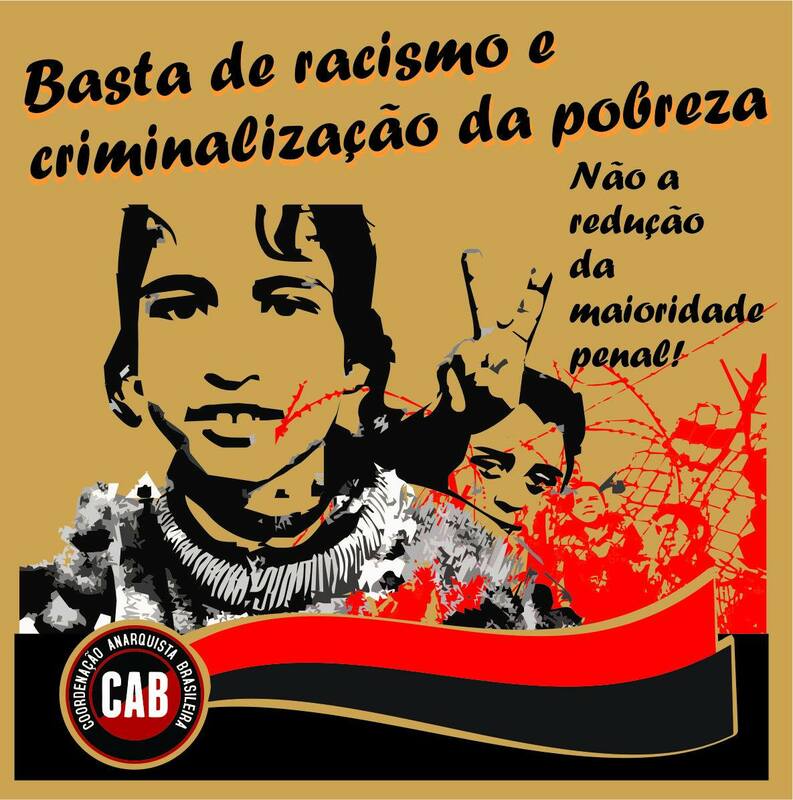 Os trabalhadores e as trabalhadoras que ainda têm carteira assinada podem considerar-se privilegiados/as, pois muitos/as não têm mais registros formais. Não têm direito a férias remuneradas, vale-transporte, multa em caso de demissão, 13º salário, entre outros benefícios que um trabalhador registrado formalmente tem. Além disso, ter um trabalho hoje, poder vender a sua força de trabalho e deixar-se explorar pelos patrões, tornou-se um benefício. Há milhões pelo mundo que nem isso conseguem. Podemos ver somente agora, quase 200 anos depois, entrando em vigor um projeto de lei que garante para as trabalhadoras domésticas a jornada máxima de 8 horas diárias, o pagamento de horas extras, o direito de se organizarem em um sindicato e todos os outros benefícios conquistados pelas lutas e mobilizações que marcaram o Dia dos Trabalhadores e das Trabalhadoras. E mesmo as centrais sindicais, em sua maioria, transformaram-se em redutos burocráticos e corruptos, com vistas apenas aos seus próprios interesses. O povo é tratado com a política do pão-e-circo, que agora, além de ser propagada pelo governo, tem a ajuda dos sindicatos com os “Primeiros de Maio” de festas e sorteios. Definitivamente as políticas institucionais mostraram-se ineficazes para conquistar, ou ao menos garantir, os poucos direitos que os Estado ainda nos concede. 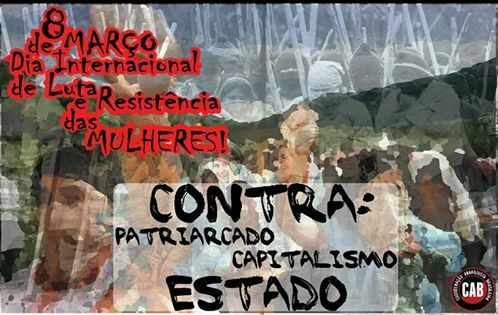 Já é hora de nos inspirarmos nos antigos militantes operários e, através da ação direta de massas, reivindicarmos o direito a uma vida de liberdade e igualdade. 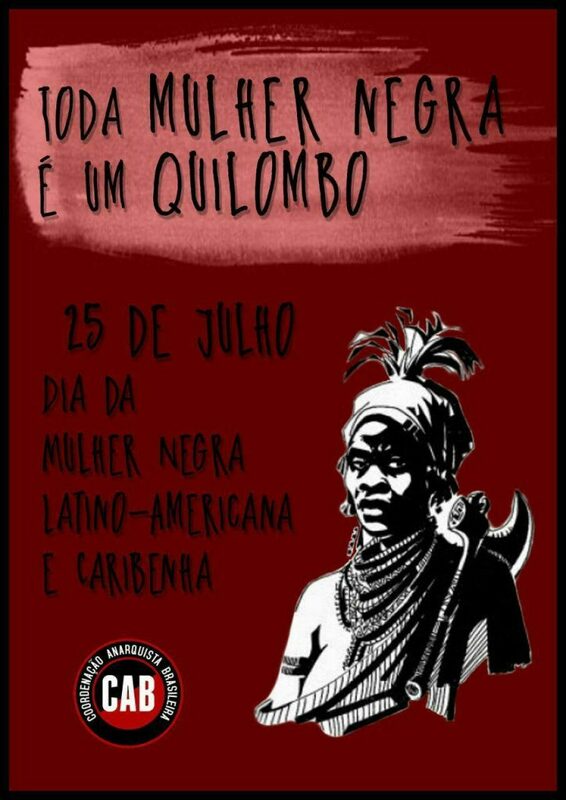 Viva o dia do Trabalhador e da Trabalhadora! 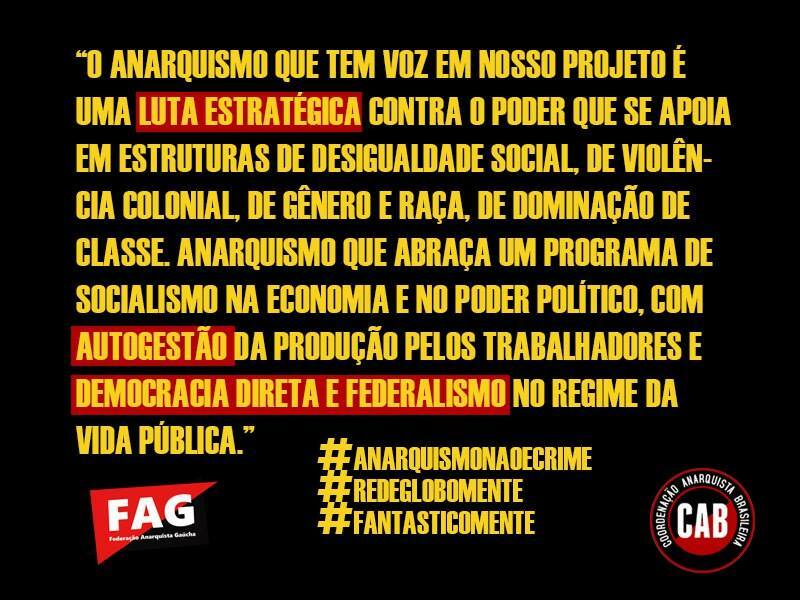 Viva o anarquismo e os movimentos populares! Jorge E. Silva. As Origens Trágicas e Esquecidas do Primeiro de Maio. L. Gaylord. O Primeiro de Maio. Lázaro Curvêlo Chaves. Primeiro de Maio – Dia Mundial do Trabalho. Lilian Caramel. A Origem do Dia do Trabalho. Michael Thomas. May Day in the USA: A Forgotten History. Tom Moates. Reclaiming Our History. May Day & the Origins of International Workers Day. W. T. Whitney, Jr. May Day and the Haymarket Martyrs. Workers Solidarity Movement. The Anarchist Origins of May Day. 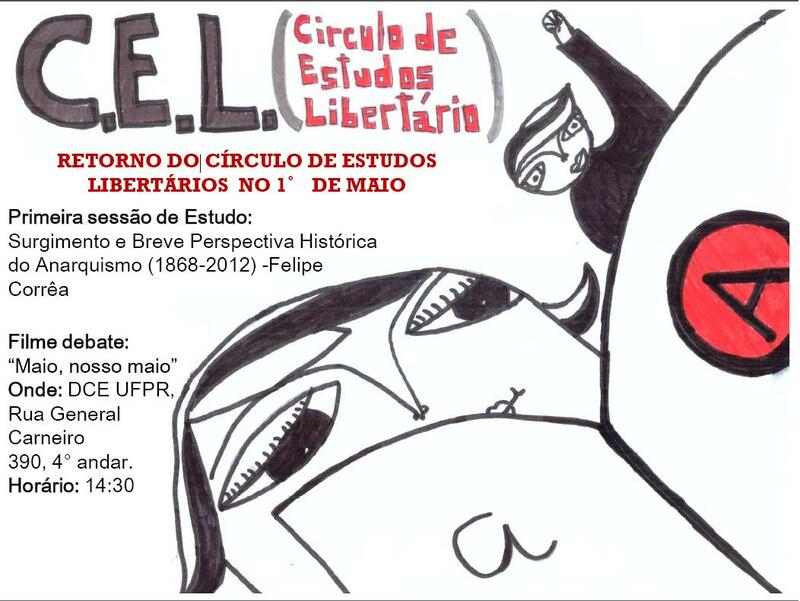 Retornaremos com o C.E.L. neste, 1° de maio com nossos já tradicionais estudos a cerca da teoria anarquista, neste primeiro encontro de 2013 estudaremos o texto “Surgimento e breve perspectiva histórica do anarquismo (1868-2012)” escrito por Felipe Corrêa (venha com o texto lido)- disponível aqui: http://www.anarkismo.net/article/24704?userlanguage=pt&save_prefs=true. Nesta data aproveitaremos também para rememorar a luta histórica dos trabalhadores, que tem como dia de “Luta e luto” no 1° de maio (o dia do trabalhador), com o filme debate da animação “Maio, nosso maio” (http://www.youtube.com/watch?v=Fgd0urRHbU8). Retornamos em 2013 com encontros mensais, nas ultimas terças feiras do Mês (em maio dia 28.05.13), sempre as 19:30h.